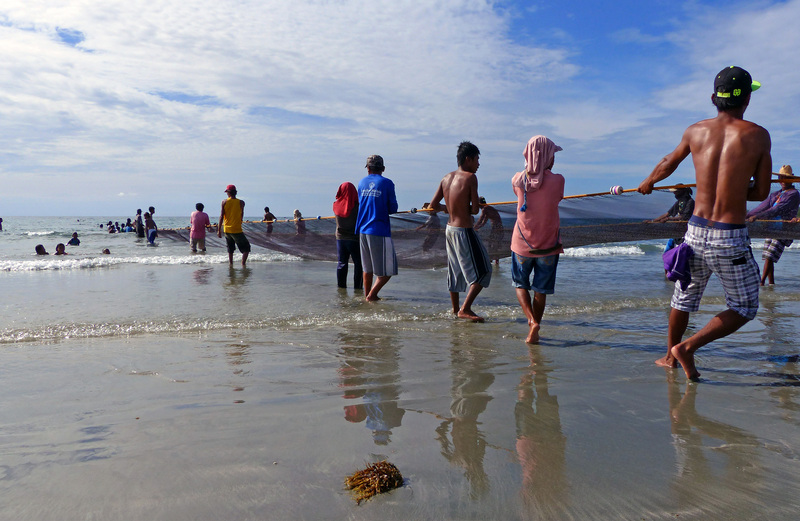 Free Photo of Fisherman on shore pulling up large net. Photo by Bernard Spragg. NZ.